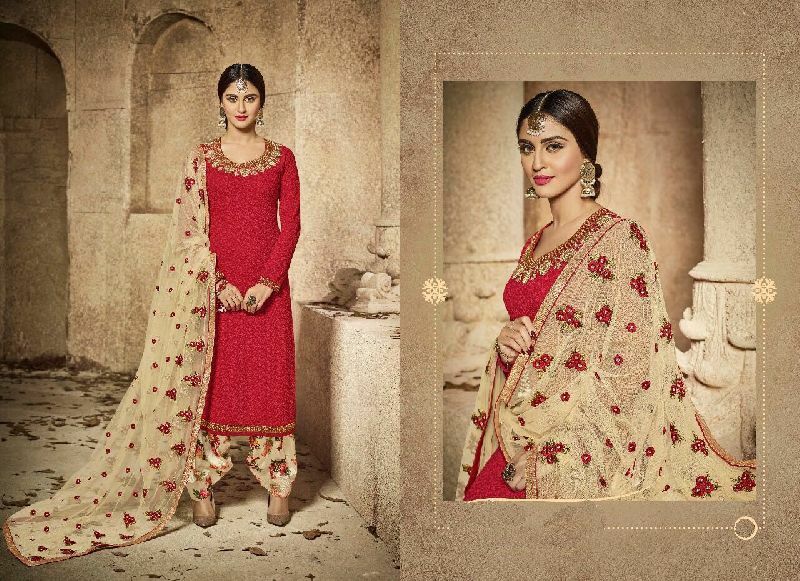 Urban Naari Red Colored Semi Georgette Embroidered Semi Stitched Salwar Suit. 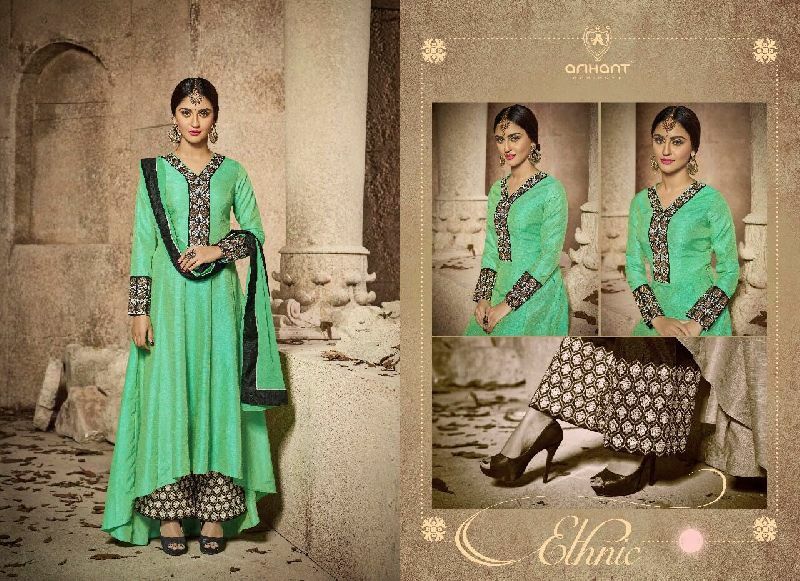 Urban Naari Sea Green Colored Two Tone Banarasi Silk Embroidered With Lace Work Semi Stitched Salwar Suit. Urban Naari Beige with Multicolor Inner Dull Tone Embroidered with Floral Print Inner Semi Stitched Salwar Suit. Urban Naari Magenta Pink Colored Faux Georgette Zari Embroidered Semi Stitched Salwar Suit. 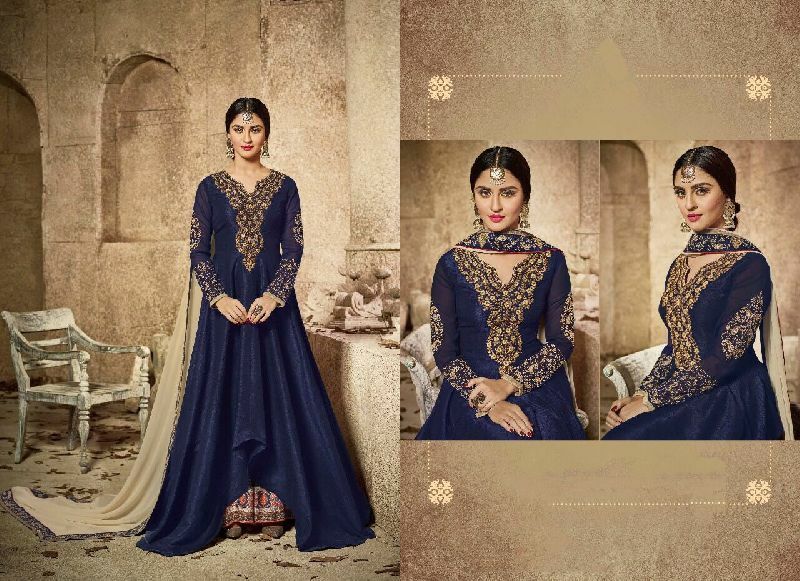 Urban Naari Navy Blue Colored Mulberry Silk Zari Embroidered Semi Stitched High-Low Hemlines Salwar Suit.